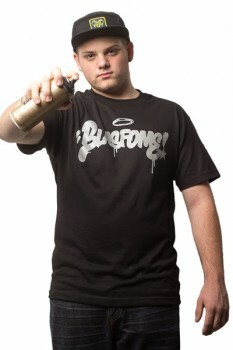 Continuing Blasfome’s on going projects with Rams NSF we are proud to launch the Blasfome Graff Logo Tee by Rams NSF. The graffiti inspired logo features Rams NSF stylized Blasfome branding in silver metallic flake on the front. The Blasfome Graff Logo by Rams NSF tees are on sale now in-store or click RIGHT HERE to purchase yours online.